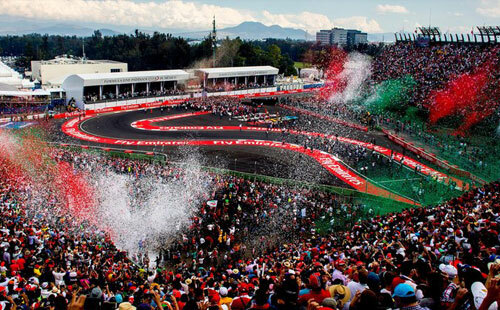 The Mexico F1 Grand Prix is one of the last races on the championship series schedule. Racing fans who have yet to see one of the most exciting sporting events in the world should consider a trip to Mexico City, which just returned to the F1 lineup in 2015 after being absent for decades. Booking early has many advantages. 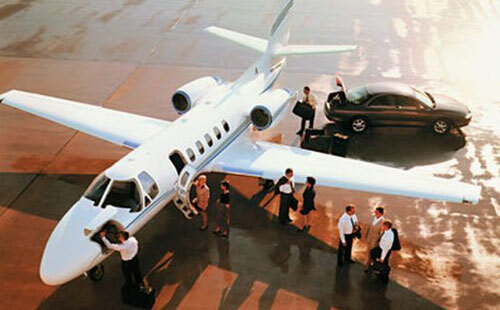 Enter a few details below to start planning your private jet flight to the F1 Mexican Grand Prix. 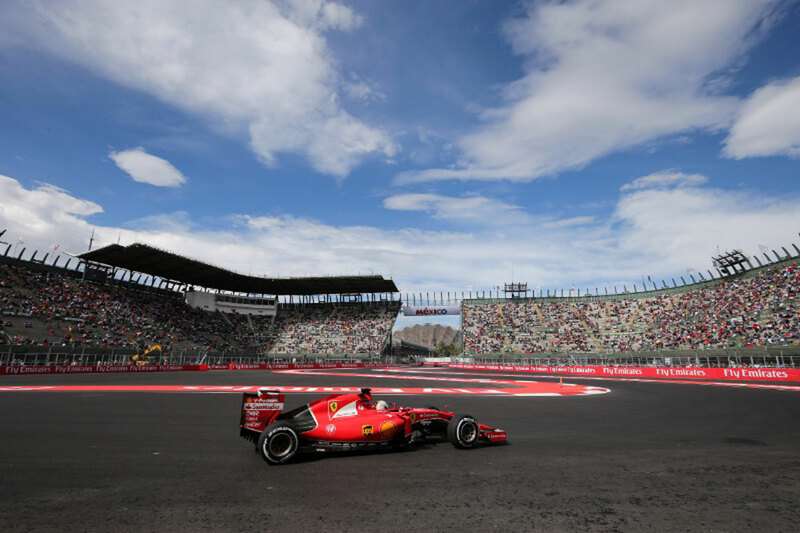 Mexico's Autodromo Hermanos Rodriguez has been a racing circuit, including on and off the F1 schedule, for more than 50 years. It is located in Magdalena Mixhuca Sports City on the southeast side of Mexico City. The oval track is named after the Rodriguez brothers, Ricardo and Pedro, who were the national stars of Mexico in the 1960s, when the track was built. Tragically, they both died in the sport they love. Ricardo in 1962 when hopes of hosting an F1 race were dashed. Instead, he was competing in a qualifier for a non-championship event when he died in a crash. His younger brother, Pedro, competed in the circuit’s inaugural F1 race in 1963. He dropped out of racing for a while after that. The track, which had problems including a high altitude (7,500 feet), rough surface, hairpin turns and crowd control, was taken off the F1 schedule in 1971. It was on and off, mostly off, the F1 calendar over the years. During that time, changes continued to be made to the circuit to make get it to the quality required of F1 tracks. Tragedy struck the Rodriguez family again in 1971 when Pedro, who had returned to racing, was killed in an Interserie race in Germany. The Mexican Grand Prix returned to the F1 calendar in 2015 after upgrades and resurfacing of Hermanos Rodriguez brought it up to the series’ standards. Take a lap from the driver’s seat to see the kinds of sharp turns drivers face going counterclockwise around the three-mile track. The circuit has a unique feature: there is a baseball stadium, which seats 50,000, tucked inside one of the turns. It was actually built, in 1993, as a place to host large music concerts. Madonna performed in its first year. Named Foro Sol, it was turned into a concert venue and baseball stadium in 2000 to provide a stadium for the Mexican Baseball League. Mexico’s capital, which began as an ancient Aztec empire, is one of the world’s 20 largest cities. With a population of some 20 million, it is only slightly smaller than New York City. There is both incredible wealth and incredible poverty in Mexico City, which is made up of 16 boroughs, each with their own mayors and councils. Although it has a reputation as a dangerous place, statistics show Mexico City’s crime numbers in line with other cities its size. That may have to do with the fact that Mexico City is among the most policed cities in the world with one officer per every 100 people. There is much to do, see and eat there. Tacos: don’t expect the Tex-Mex sort of offerings that Americans are so used to. Here, the food is authentic, whether you are in a fine-dining restaurant or picking up something from a market stall or street vendor. Tequila: There is no short supply of the alcohol made from the blue agave plant but if you want to drink like a local, try mezcal instead. That is made from different types of agave plants. Or, for a real authentic drink, try pulque. Made from undistilled, fermented agave juice, it was the drink of the Aztecs 2,000 years ago. Museums: There are 160 here and most are free on Sundays. Six Flags Mexico: The amusement park is the largest in Latin America. There is also the La Feria Chapultepec Magico amusement park in the city center. Zocalo: The large square in the city center is turned into the world’s largest ice rinks in the winter. Ruins: The Teotihuacan Pyramids, located just north of Mexico City, date back to 300 BC. They were abandoned before the arrival of the Aztecs who thought their presence meant they were the birthplace of the gods. Archaeologists have been uncovering ancient ruins here for hundreds of years.